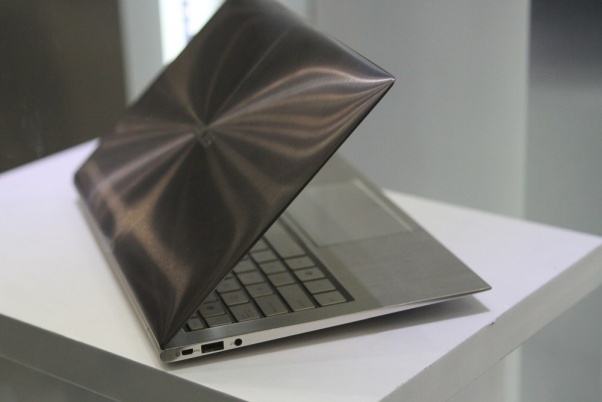 According to sources close to DigiTimes, ultrabook manufacturers may be leaning towards fiberglass materials due to limited availability of magnesium alloy metals. Apple is supposedly to blame for the limited stock, as the company is one of the top clients for magnesium alloy from Taiwanese producers and could thus be preventing competing notebook manufacturers from obtaining ample supply of the same alloy. The MacBook family of notebooks is noteworthy for its use of uni-body magnesium alloy chassis because the lightweight material allows for a thinner profile while maintaining good tensile strength. Apple was reportedly responsible for up to 2.7 million notebook PC shipments in Q1 2011 alone. Since ultrabooks must be at most 0.8-inches thick by definition, this alloy is sought after by ultrabook manufacturers as well. Luckily for ultrabook manufacturers, fiberglass materials could be a good and even cheaper alternative to magnesium alloys. DigiTimes points out that fiberglass mixed with plastic could allow for comparable toughness at up to $10 cheaper per notebook. Three ultrabook manufacturers are allegedly already adopting the material for their respective assembly lines. The Intel ultrabook appears to be having tough times in its pre-production phases, but Intel is doing everything it can to entice top tier companies like Dell, HP, Lenovo and Acer to release ultrabooks by the end of the year or early 2012. The first ultrabooks from HP and Asus are still rumored for a September or later launch.